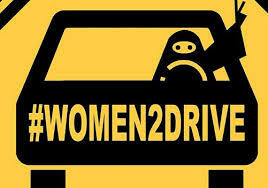 Never criticise a woman driver. Never also mock at one when she gets into a no entry zone, drives in two lanes at a time or applies make-up while negotiating traffic. I was in the middle of old Muharraq when I got myself into a jam – literally. After going into a narrow lane and finding myself at a dead-end, not knowing what to do, I looked for help. Knocked on a door and requested the abaya-clad woman who emerged to move her car so I could easily take mine out. Instead, she got into my vehicle, a large SUV, reversed into the lane as if it were a knife slicing through butter and there I was, out of the woods! And, all the time, she had a smile on her face and the look of someone in complete control! “Well, there you are,” she said. “I do this every day. My car is bigger than this one. Yes, it is a difficult one for a newcomer. You’re welcome —” the words just flowed! And she disappeared with her young son, who had minded her cellphone, in tow! And if I thought at the beginning of the evening I would not eat anything while I was out, I did not keep my word. I had eaten a large chunk of pie – humble pie! Ha ha! I love moments of realization like this! And, it isn’t so bad to have a slice of humble pie… I think it does us some good every once in a while. It sure was a very ’embarassing’ moment while it lasted. But, yes, this is the way people are in Bahrain. Very friendly, helpful and unassuming. I was myself surprised at the ease with which the entire ‘episode’ was handled!